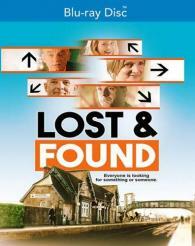 Lost & Found is 7 interconnecting stories set in and around a lost & found office of an Irish train station: DANIEL tries desperately to hold onto his newly acquired job in the lost & found office. EDDIE spends most days in the train station begging, every day he has a different story, which one is his? GABRIEL plans to surprise his girlfriend by proposing up in the air, but airport security have other plans for him. A GRANDMOTHER asks her grandson to retrieve a mysterious bracelet she buried as a child in the garden of her childhood home in Poland. MOYA visits a funeral home and signs the book of condolences not realising the consequences of signing it. PAUDGE, a cranky pub owner keeps redecorating his bar hoping to attract customers, but no matter how many grand openings he has the locals stay away. SILE has set a date for her wedding, not having a groom, wont stop her.